Written on January 15, 2018 . Despite its biggest efforts, even the Great Firewall of China cannot keep Donald Trump in check. 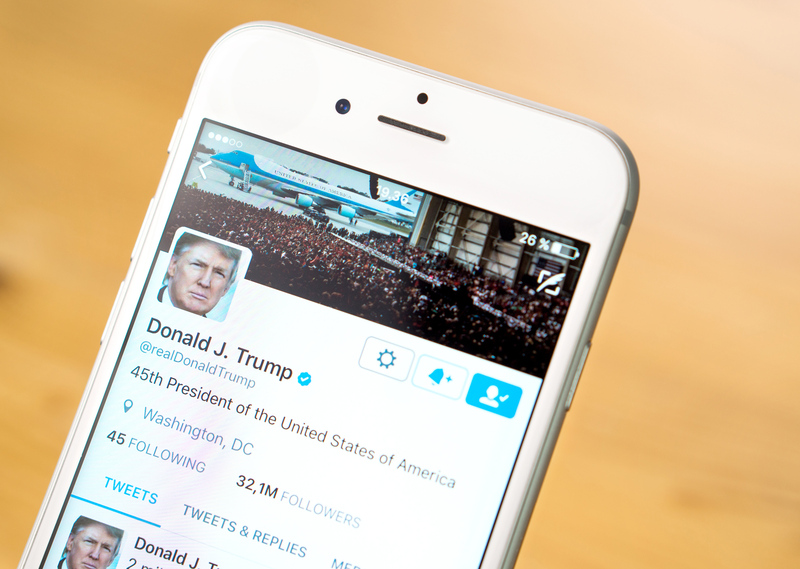 The United States President went on a trip across Asia, and during his visit in China, managed to use his favorite social media platform – Twitter. However, you shouldn’t be able to use Twitter on Chinese soil. And the likes of Facebook, WhatsApp, and Gmail have been out of the game for almost 10 years now. If you have went on a trip to China, you have probably heard about a way to access these blocked websites. The solution is a VPN. But Chinese Government has decided to ban VPNs since 2017. There were cases where sellers of these services were arrested. Donald Trump is notorious for his obsession with Twitter. A member of his staff has declared that the President will be able to post a new tweet whenever he wants, and there won’t be any restrictions for it. China is the biggest culprit for the internet censorship. It’s impossible to access a lot of popular websites without using a VPN or any other alternative to bypass the block. If you are coming to China, you should definitely invest some money into a VPN. Otherwise, don’t expect to keep up with everything that is happening in the world. In case of Trump, one can assume that even he had to use a VPN access Twitter. And while it’s impossible to find out exactly what VPN the President used, one thing is for certain. Only a handful of networks are capable of bypassing Chinese censorship. There’s no real evidence for it, but posting tweets might not be the only reason why Trump is using VPNs. He is worried about privacy, just like the rest of us. Remember the Mueller investigation? Connections with Russia caught the eye of the FBI, who are interested in the shenanigans of a new president. Moreover, Trump claimed that the previous president Obama listened to his conversations using a tapping wire. The president is certainly not the only person using a private network. Ever since his inauguration, the use of VPN skyrocketed by more than 140 percent in the United States alone, while the world saw an increase of about 35 percent. Trump might have played a role in this with all his talk about privacy. During his campaign, the President made a case for an increase in censorship. He used terror attacks as his number one argument and suggested that the citizens of the country should be more interested in their internet security. Anti-Trump people were against this before the campaign. They looked for whatever means possible to support their case, and are actively fighting to this day. Another big group of people who heavily relies on the internet is journalists. Without the freedom of the press, their careers are in jeopardy. And they aren’t the only ones facing these consequences. It’s no surprise that the President is using it. VPNs make it impossible to read browsing history or any other data. No matter how much they would want to, people are unable to hack these networks. Change in geolocation is another benefit of these services. You can surf the net without worrying about anyone finding out where the messages are coming from. VPNs will make it possible to access unavailable content – news sites, social media, entertainment pages, streaming services like Netflix or Twitch TV, and much more. VPNs offer nothing but advantages, so it’s no surprise that somebody like Trump is also part of the user base. Are there any legal problems with VPNs? Some might think that VPNs are prohibited by law, yet that’s not the case. Only China and Russia have laws against private networks. Finally, if presidents are using VPNs, then there is no reason why the rest of us shouldn’t do it. Do you have an opinion about Trump and his way around the Great Chinese Firewall? Share your thoughts in the comment section. Don’t miss the best VPN deal of the year!